I imagined a scenario where a rock had it’s own sun. 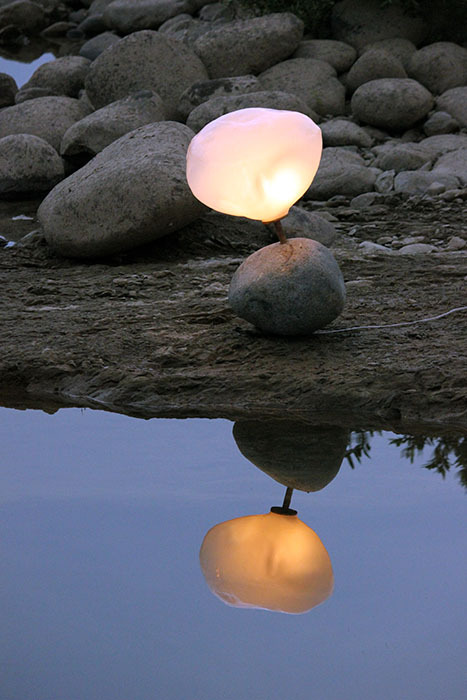 I collected a rock whose shape I liked from a nearby river and copied it exactly in blown glass. I crafted it into a lamp whose power source is solar. If displayed by a window or in the sun, the lamp should run all day and fade out by the next morning when it will be recharged and light again.